Functional Horsemanship: How do I choose the right bit for my Horse? How do I choose the right bit for my Horse? Jessica wrote to say "I have a new horse and she is four years old. I have been riding her in a halter but I need to put a bit in her mouth. What should I be looking for when I try out different bits, so do you think there is a particular type of bit that I should be using on her? I want to start right and go slow so I don't have any problems down the road with her. Thanks, Jessica." Generally horses are started, which means their training begun, with a snaffle bit. Training really begins much earlier upon the first time the horse is handled, and continues into ground work and all the things you do to prepare a horse to accept a saddle and rider. 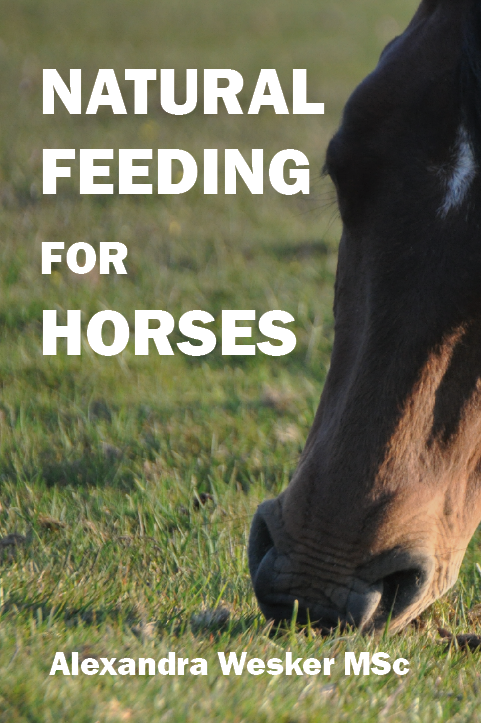 Since you can ride your mare in a halter then you are doing something right, and your plan to go slow and do it right is certainly the right approach - good for you. The snaffle bit is a non-leverage bit that it broken (or what you may think of as hinged) in the center of the mouthpiece. The snaffle bit works by providing a signal on the horse's tongue, bars of the mouth (space between front teeth and molars), and/or the corners of the mouth depending the mouthpiece of the bit, how it is seated or fitted to the horse, and of course how the rider handles the reins. Pressure applied by tension on one rein also has a pulling effect on the other side of the mouth through the snaffle bit. While a rider can certainly begin a horse to neck rein on a snaffle bit, the snaffle bit is generally used through a direct rein. The picture above left is a typical snaffle bit. The snaffle bit, not having a lot of leverage like a shanked bit, can be more forgiving to a horse's mouth on a horse, who for the first time, has to carry it and to the rider who may have quicker of harsher hands than is necessary. Two things about the snaffle bit that riders sometimes do not understand are that the broken mouthpiece of snaffle bit can pinch the horse's tongue - even cutting it, and that the broken mouth piece can "tent" - making a peak and poke the roof of the horse's mouth causing a lot of pain. Sometimes a horse will accept or be more comfortable with a snaffle bit that is connected in the middle with a short piece which can be a roller or dog bone shaped, hence the name "dog bone snaffle". See the picture above right. I like the copper roller for one of my mouthy horses - it also keeps his mouth moist. Snaffle bits, being non-leverage bits, do not provide much control on a run away horse or a horses in speed events like barrel racing. Leverage bits have a shank that the reins connect to providing more leverage for the rider on the horse's mouth and also by activating or tightening the curb strap or chain under the horse's jaw. Could have a nut cracker effect if the curb chain is too tight when the reins are loose and the rider pulls harshly. The picture above left is a broken bit with shanks, or you can think of it as a leverage bit with a snaffle mouth piece. In fact some people call this an Argentinian Snaffle. Pretty much all the bits I have bridled up right now are snaffles and the lone leverage bit with the broken mouth piece. I have several medium port solid bits but haven't used them recently. I guess what I am trying to write is that all bits can cause pain if used incorrectly. I winch when I am at an event and I overhear someone saying "Did you see the way that horse stopped? I've got to find out what type of bit he is using." What I saw was the horse's head flying up trying to escape the pain of the bit pulled quickly and harshly in his mouth. The idea is to use bits in such a manner as to signal the horse before that pain is applied. It's not the bit that creates the pain, it is the rider's hands. I hear too many comments from rider's that suggests a false understanding that when your horse is not performing right then you need a more severe bit. What is usually needed is a different approach. So I really can't suggest a bit for you and your horse other than a snaffle is a good place to start, but don't fall into the trap of continuously going to a different bit hoping to solve your training or performance problems. I've been there and I would like to forget I was that guy. Another place to start would be if you buy a horse then find out what bit he has been used with and maybe start from there, but again, it's going to be the rider's application of the bit and the relationship he/she establishes with the horse that is going to make the difference. I would highly suggest attending all the clinics you can, even just auditing the clinics. Horse's aren't born knowing how to understand what a human handler wants, nor are humans born capable of understanding and communicating with prey animals. So it is the human who must adjust and help the horse. One of the coolest things is to see a horse try with the slightest pressure then see that horse demonstrate he accepts and understands what you are asking by giving more and doing it quicker. I wish my wife would appreciate the subtlety of my efforts as I try to do with a horse.....week by week I am getting closer to getting honey-dos done.